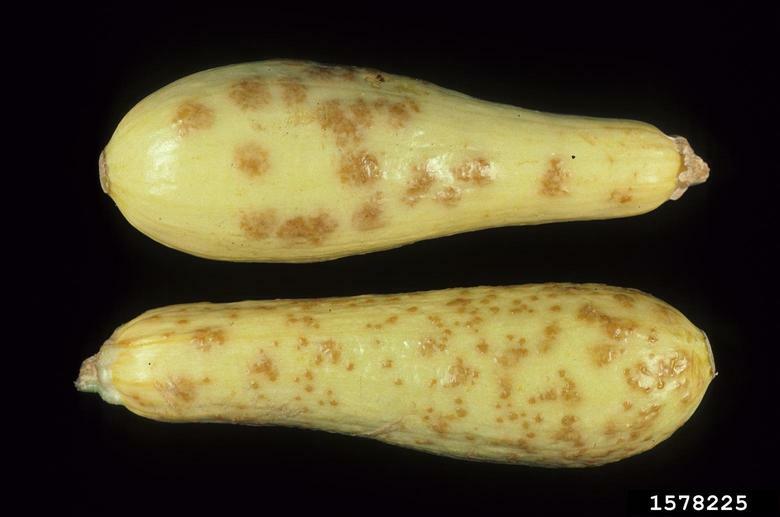 Oedema is a physiological disorder that develops when roots take up water faster than it can be used by the plant or transpired through the leaves. 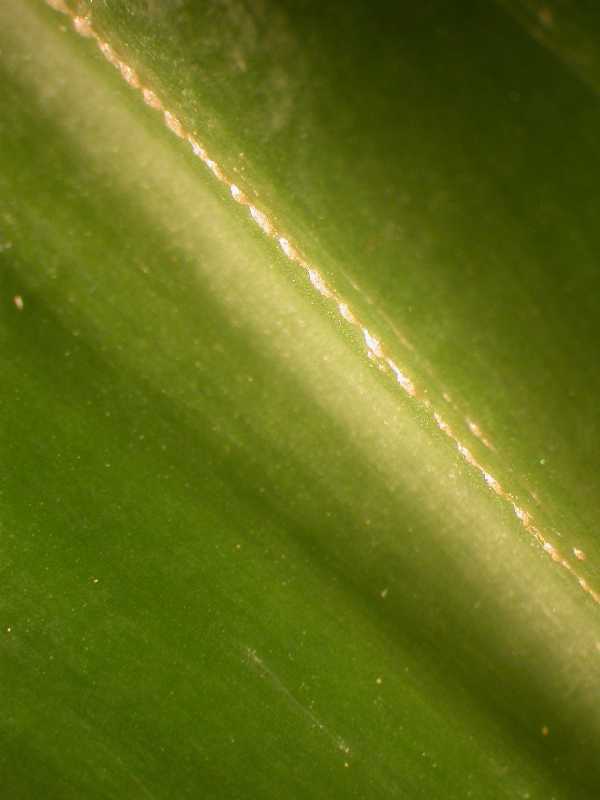 Water pressure builds up in the internal cells of the leaves causing them to burst, leaving dead cells that are visible as a blister, primarily on the undersides of leaves. Oedema may also be spelled edema. 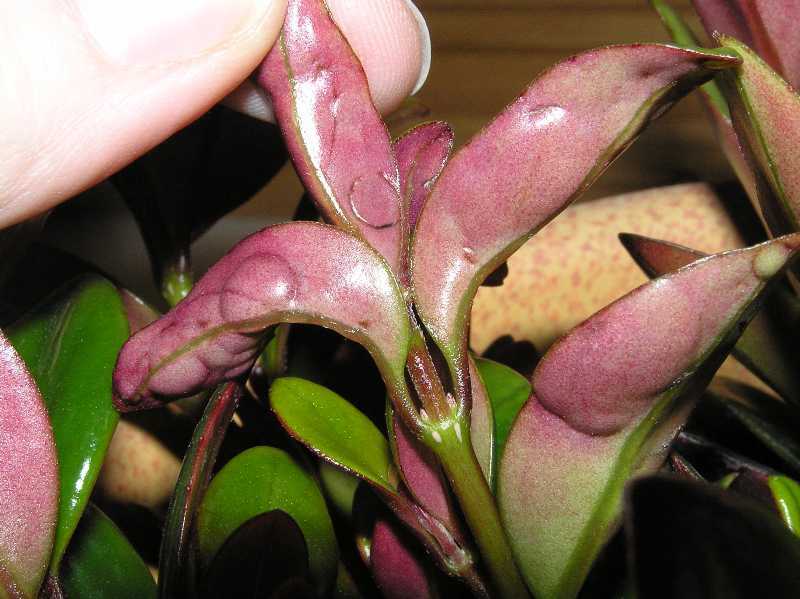 Geraniums, rhododendrons, begonias, peperomias, jade plants, ficus, schefflera, and camellias are particularily sensitive to conditions that lead to the development of oedema, although almost any broadleaf plant may be affected. 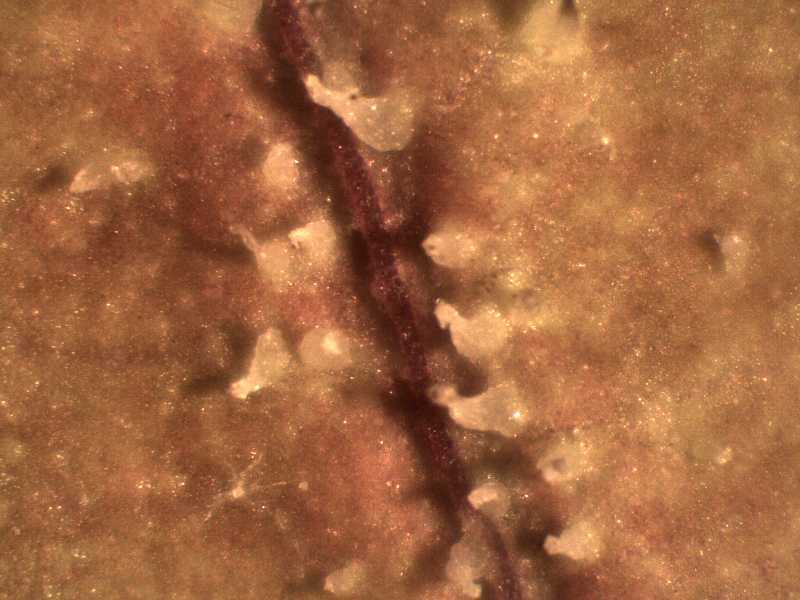 These blisters eventually erupt and form white, tan, or brown wart-like corky growths. 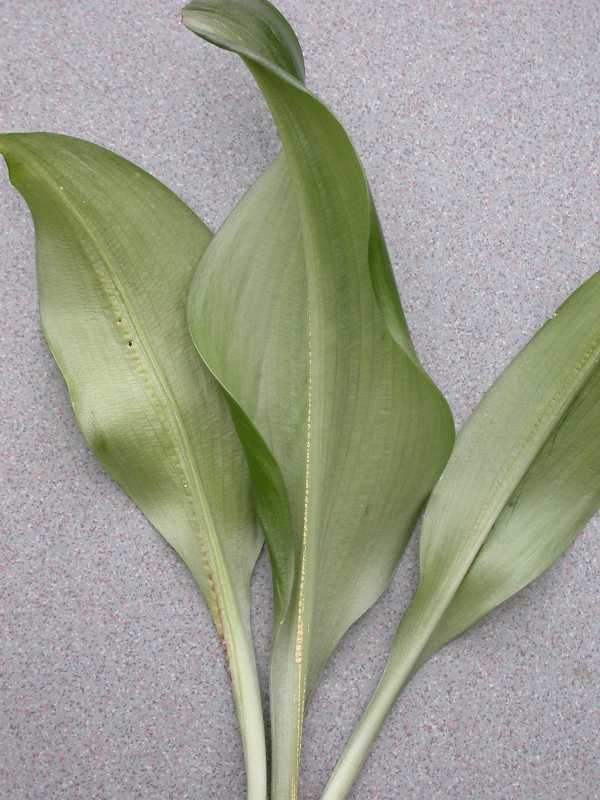 As the condition worsens, leaves may turn yellow, droop, and fall off. 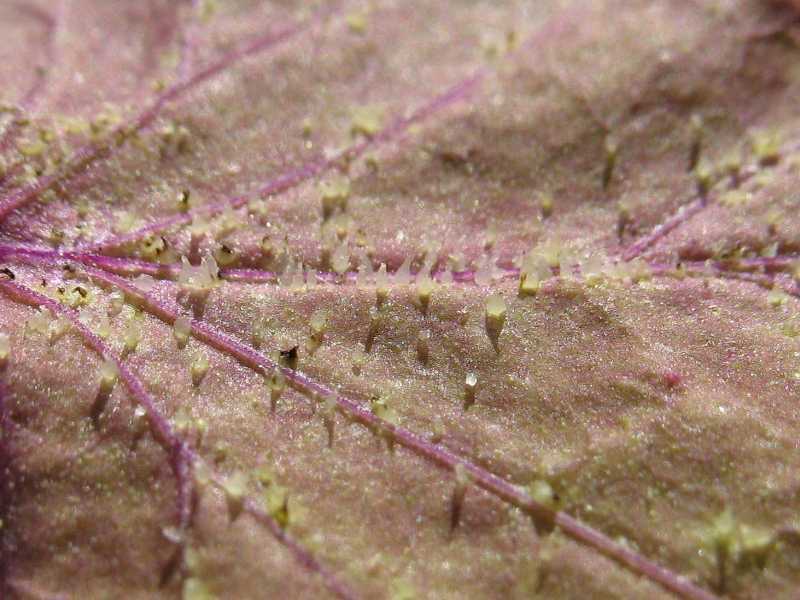 In severely affected plants, blisters also form on the petioles and stems, although this is more rare. 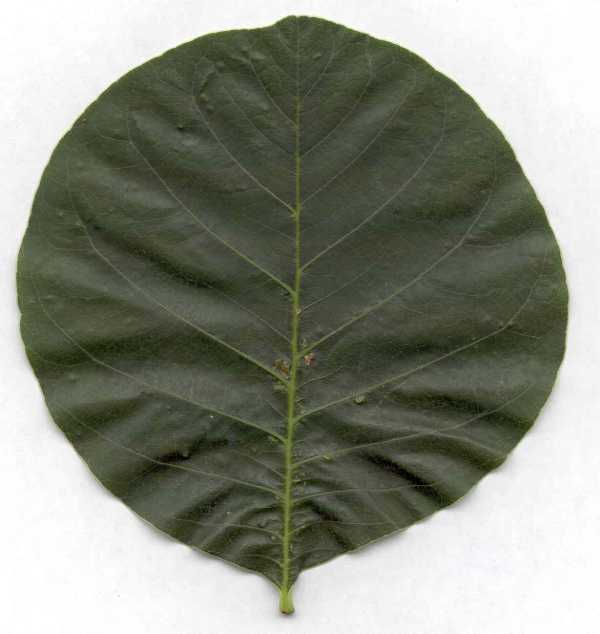 The upper surfaces of these leaves will often have indentations above the engorged cells on the undersides. 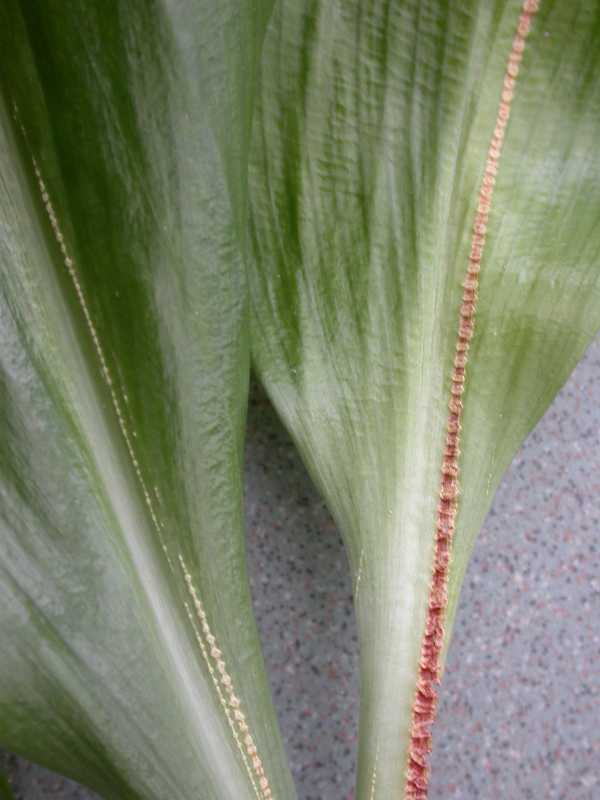 If the problem is not corrected, the plants will become spindly. 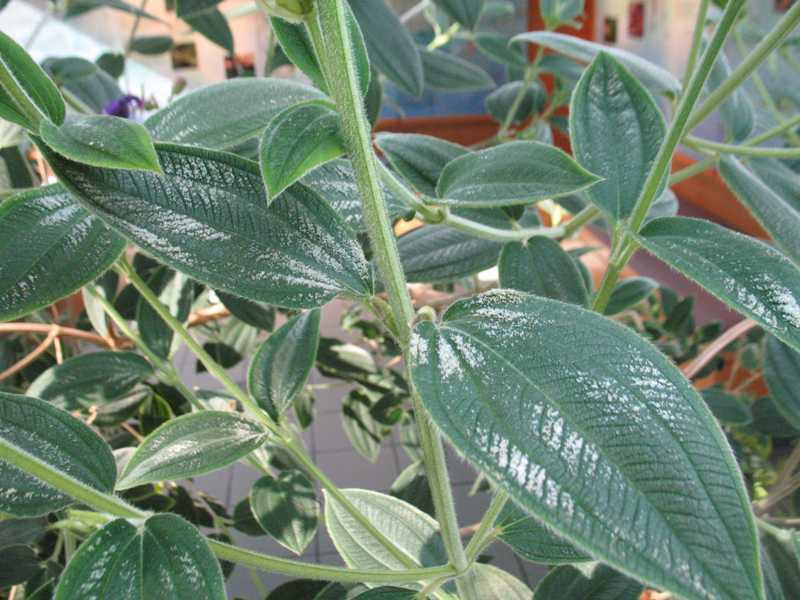 On indoor plants, oedema is most prevalent in the late winter, especially during extended periods of cloudy weather. 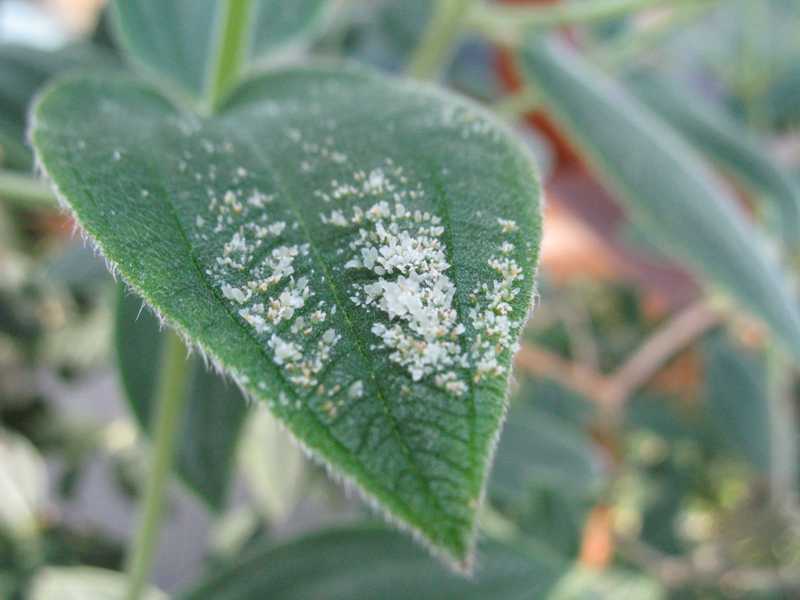 It is likely to develop when the soil is warm and the air is cool and moist. 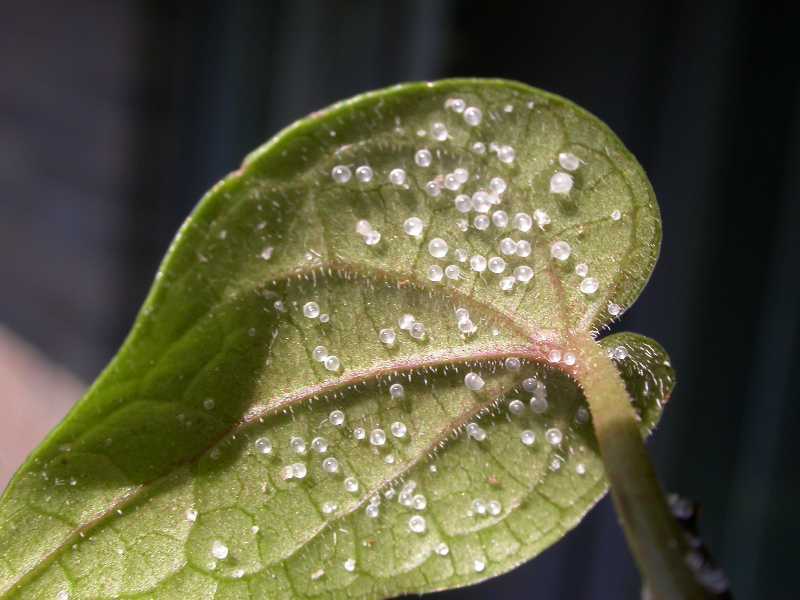 This environment results in rapid water absorption from the soil and slow water loss from the leaves. 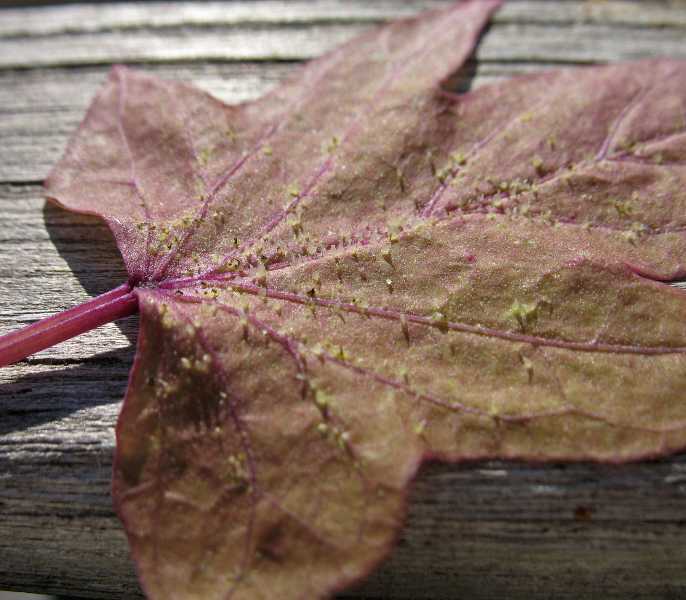 These conditions are most frequently encountered in greenhouses or indoor situations rather than outdoors but oedema can also be common on container-grown plants. 1. Culture. 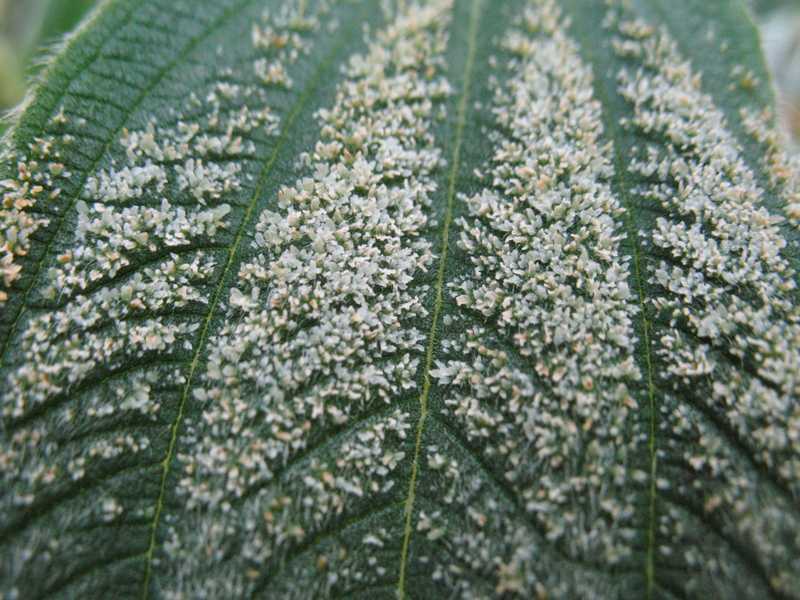 Oedema is a cultural problem so cut back on watering, but avoid letting plants dry out completely. 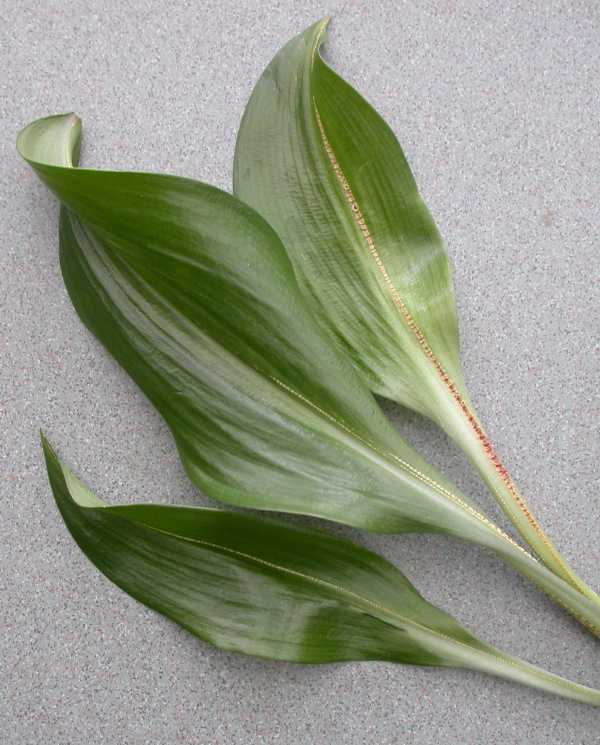 If necessary, move the plant to a larger pot if it dries out too quickly. 2. Greenhouse conditions. 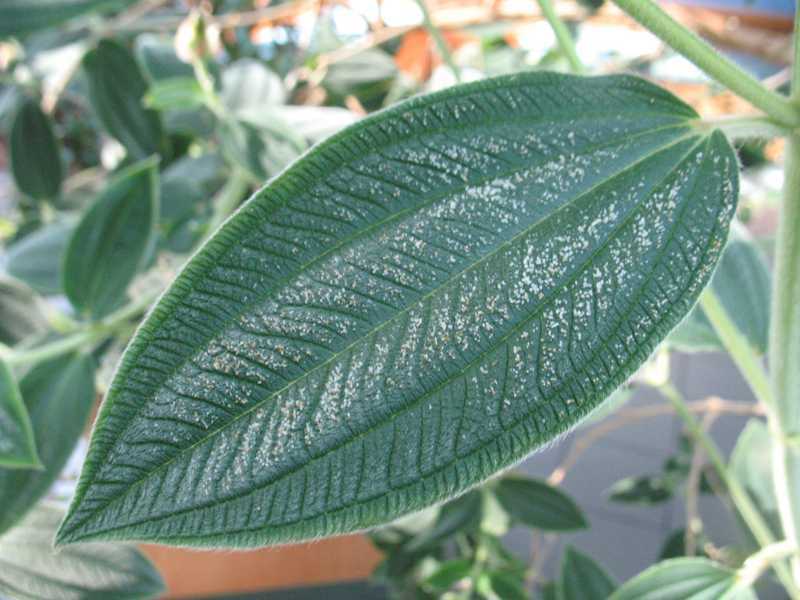 When symptoms occur in a greenhouse, promote conditions that allow water loss to balance with water uptake by the roots. Decreasing humidity forces higher transpiration; ventilation is important as well as air temperature. 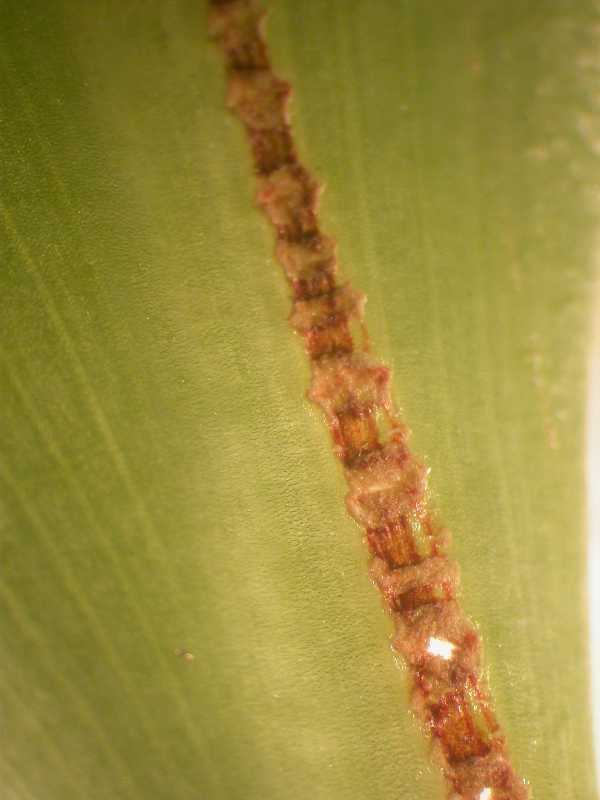 Both of the recommended IPM strategies are strictly organic approaches. 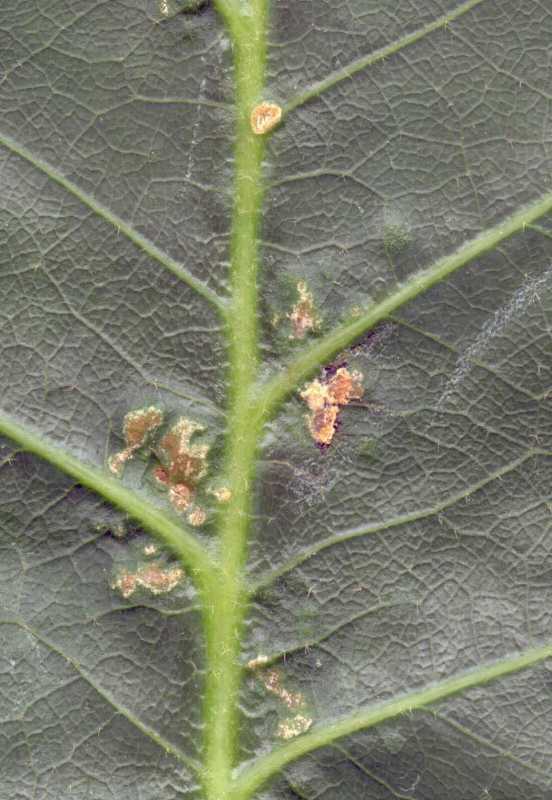 Oedema on glory bush / princess flower (Tibouchina urvilleana) looks similar to sunburn from a distance but cells are raised and feel hard to the touch. Oedema on glory bush / princess flower (Tibouchina urvilleana). 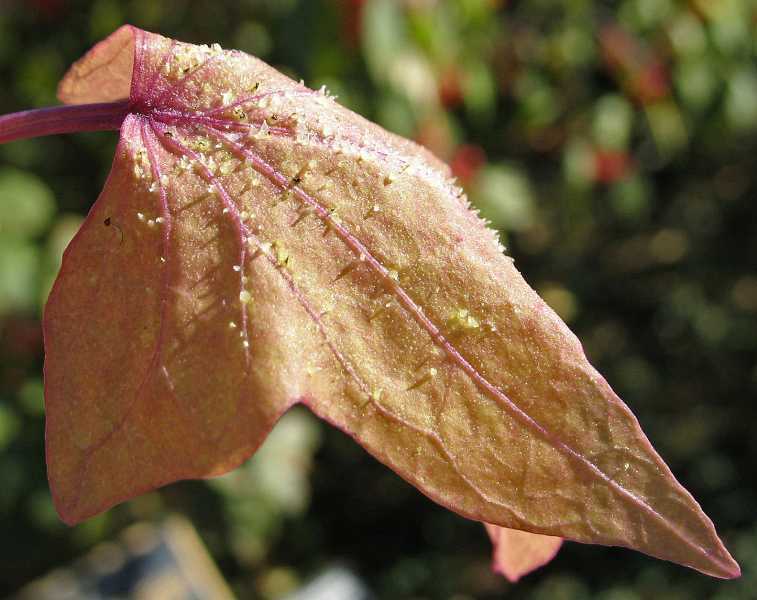 Ruptured cells on this glory bush / princess flower leaf (Tibouchina urvilleana) are due to oedema.